Download our April Social Media Posts today! You Want More Paws in Your Doors? You Want More Paws in Your Doors? We Know How to Help. 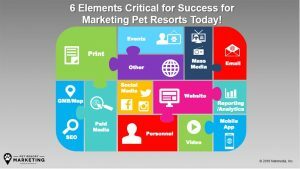 Why Partner with Pet Resort Marketing? Over 75 loyal pet resort clients like you… and growing! Like you, we are pet lovers running a business dedicated to high quality pet care. We partner with pet lifestyle businesses of all sizes that specialize in pet boarding, daycare, grooming, and training, or all of the above! We understand your pet resort needs and interests can be different than other pet resorts. We can enable your business to reach more pet parents and gain new customers. Let us help connect you to a new level of success for your business! 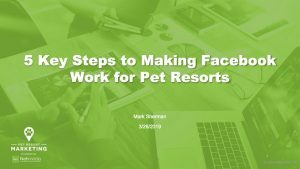 First let’s get acquainted and talk about the uniqueness of your pet resort including your business development needs and interests. To get started, just call us at (512) 900-1070 or fill out a short form and we’ll get right back to you. We take a comprehensive health-check of your current online presence—from your Website to your participation in social media—and then we provide a “diagnosis” with recommendations designed to increase your brand, your calls from qualified customers, and your bookings beyond word-of-mouth advertising and promotion. 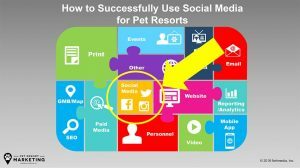 By combining your pet resort expertise with our digital marketing techniques and best practices, you can enjoy a steady stream of new, high quality customers and cashflow while spending more time with your pet resort guests and less time worrying about your success. Pet Parents Can't Find Your Website? Can't Easily Update Your Website? Have Trouble Connecting on Social Media? Pet Parent Reviews Online Making You Nervous? Is Your Marketing Actually Working? Find out how your marketing stacks up! Let Us Help You Get More Pet Nights!